We do not sell this product anymore. 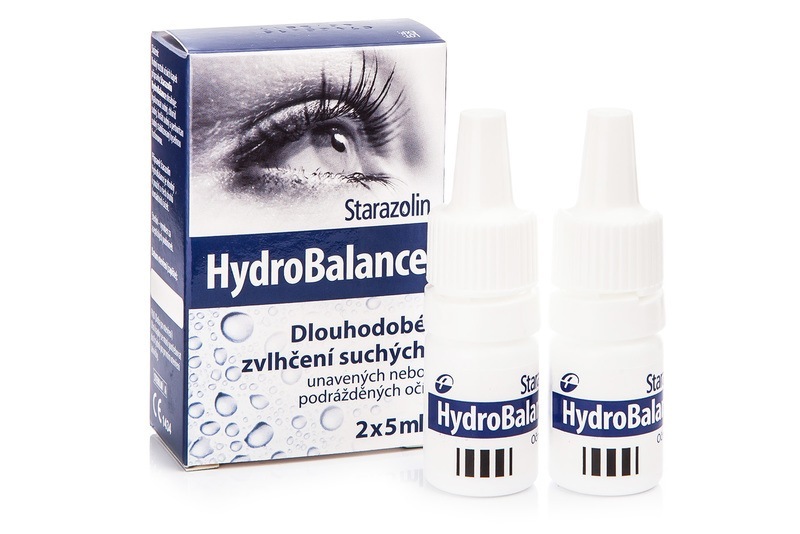 Starazolin HydroBalance eye drops have a demonstrable and long-lasting moisturizing effect. They act quickly against the sensation of dry eyes, irritation, fatigue and sensation of sand under the eyelids. Starazolin HydroBalance eye drops are intended to be used particularly in the following cases: if the eyes are exposed to irritating external influences such as dusty or smoky environment, UV radiation, heat (central heating, sauna), air conditioning, windy environment, cosmetics, chlorinated water; in relation with less frequent blinking while watching TV or reading, and people required to provide long-term visual attention, including those working on the computer, working with a machine or driving a car, etc . ; In case of insufficient tear production or a change in their composition, for people with dry eye syndrome and for people over the age of 40 years; for persons using all kinds of contact lenses. Starazolin HydroBalance eye drops are compatible for use with all contact lenses.